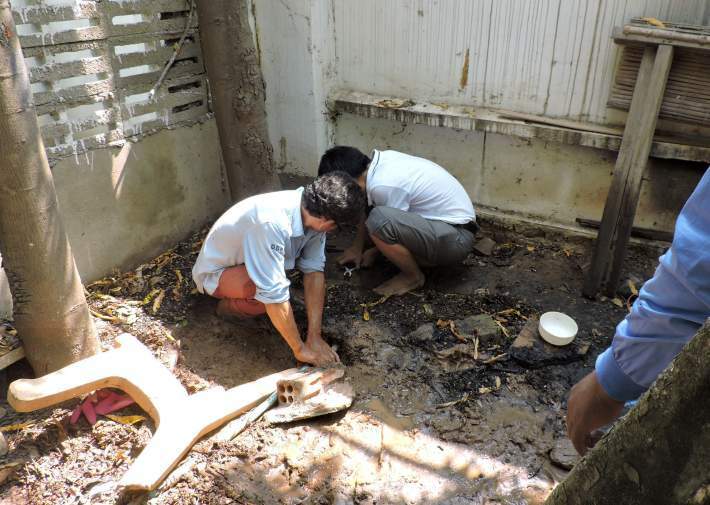 Unwanted Surprise – Welcome to Cambodia, and…..
We moved our office to a new site last week (I’ll be starting a series of photos about that tomorrow) and today we got a surprise at the new site when the main waterline from the street broke. It took us a long time to find and dig up the cutoff valve and then it wouldn’t work so we plugged the incoming pipe with a cap held on by a brick and the concrete buttress until Sokly our director could run out and get a piece of replacement pipe and get it connected. Well done, Sokly!